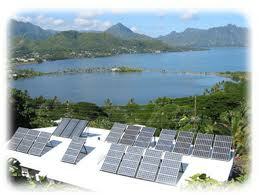 For the longest time now, Hawaii has been one of the most robust markets for solar panel installations in the US. Hawaiian residents have reason to turn to solar power as enthusiastically as they have – electricity in Hawaii comes from burning expensive imported oil. At 42 cents a kWh, it costs three times as much as the national average (Alaska is second on the list at 18 cents a kWh). With solar energy costing no more than 20 cents a kWh, Hawaii is the only state in the US where a family can consider ordering a solar installation and justify the cost on the basis of the energy savings made, alone. Investing in a solar installation in Hawaii can be profitable even without a government tax credit. Hawaiian residents, though, have enjoyed a generous state and federal tax credit ever since 1976. Today, with a newly enlarged 35% personal tax credit as an incentive, the solar installation market is set to boom. As great as the adoption of solar technology has been in Hawaii, it could be better. The year 2013 saw the introduction of new tax credit legislation that has been seen to be disruptive to the success of solar adoption. The law makes sure that homeowners trying to invest in a solar system can only avail themselves of one state tax credit for each system. This new law has raised the prices of some solar systems. Experts believe that the slowdown could easily create a knock-on effect on the rest of the market. Supporters of the law, though, say that while the new law does disrupt the way the solar market expands in the short run, it makes sure that the market is well-supported over the long run. If it weren’t for the law, they say, the subsidy system wouldn’t be sustainable for more than a few years. The old system, they say, pushed buyers towards making a choice based on what system offers the biggest incentive, rather than the quality of the system and its suitability for a purpose. The other problem holding back solar panel adoption in Hawaii is the fact that close to half of the state’s residents – or 43.5% as per census data – rent their homes. Renters have no incentive to invest in a solar power system when they know that they will leave their home in a few years. The tax credit system isn’t perfect even for all homeowners. While the 35% tax credit is a great incentive, it doesn’t help people arrange for the rest of the money. People who belong to the middle class can easily apply for a loan to cover the upfront cost of their solar system. Low income homeowners, though, do not usually have the credit scores needed to apply for a loan. June 2013 saw the governor of Hawaii pass Senate Bill 1087 – an important piece of legislation that makes solar systems accessible to most underserved consumer groups. Low income families no longer have to worry about finding the money to pay for a system upfront. A new system called on-bill financing is planned to help these customers. People need good credit scores to apply for bank loans because banks have no way of getting their money back other than by looking to their borrowers to pay them. When it’s a loan for power generating equipment that families have to use to get by each month, though, the lender has an easy way to get paid back– the money simply has to be added to the utility bill each month. When the program goes online next year, people interested in it will be able to call certified contractors and have them bring the equipment over to install. The loan will be taken care of by the state government that’s issued bonds to private investors to fund the scheme.